The LBD (little Black Dress) is a total must have staple in any woman’s wardrobe. 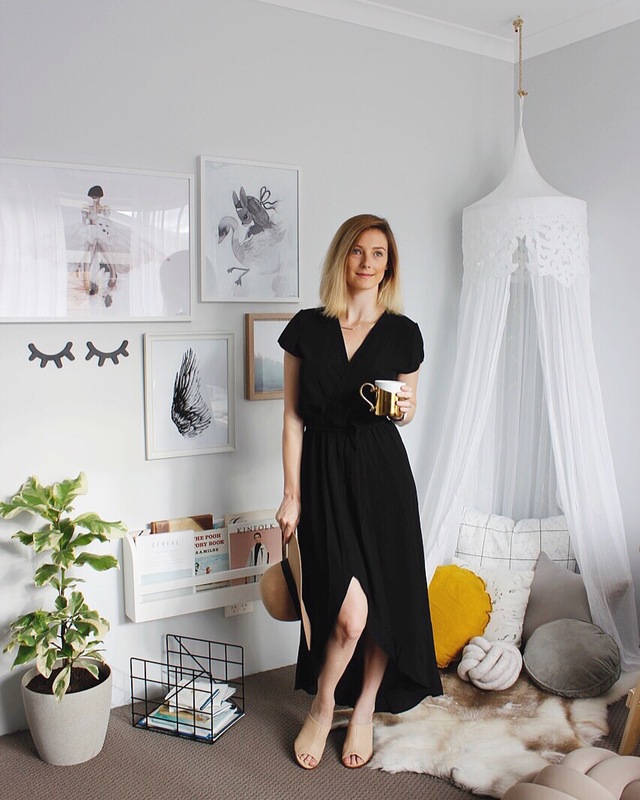 There’s no particular style or fabric that you have to stick to, as long as you have a little black number hanging freely in your closet, then you’re safe! There’s something about the LBD that just makes you feel gorgeous, no matter what. If you choose a classic style that is flattering to your body shape then it really won’t ever go out of fashion. So why is the LBD so magical? You can wear it a million times and not feel as if you’ve worn it to death. Dress it up with stunning jewelry and different colored heels, or go casual with a summer hat, sandals and sunnies. You really can rock the LBD in so many ways- When ever you’re in doubt then reach for your LBD and add your own touches to the look. My LBD of choice is the Rose Midi Dress by Feather and Noise for $69. This dress is affordable, super comfortable and is perfect for expectant mummies. I’ve seen pregnant women rock this dress and it’s even breastfeeding friendly. is It’s light weight which is perfect for dressy summer nights OR Team it with a denim jacket and it’s perfect for a more casual autumn look. Next Post Getting that BFP Pregnancy…Finally!